AI has for long been posited as a technology that has been designed to enslave human beings. Well, much of these ideas and distorted imagery stems from the role of movies and TV series has shaping our ideologies and the fact that singularity as a genre, continue to fascinate movie makers and directors across the world. In this article, we take a look at some of the predictions that were described in movies about AI and other technologies that have become freakishly now become a reality. 2001: A Space Odyssey (1968): The film by Stanley Kubrick was based on Arthur C. Clarke‘s short story The Sentinel and the screenplay was written by him too. The movie was very well received by science enthusiasts for its marvellous depiction of technology, like spaceflight, special effects, and ambiguous imagery. The movie revolves around the voyage to Jupiter with the sentient computer HAL 9000, an artificial general intelligence device, who is the main antagonist of the movie. Star Trek: The Original Series (1969): The movie is all time favourite of science-buff all across the world and has managed to create a cult following for its series among its fans. The original series that was aired 1966 showcased some of the coolest technology, which needless to say have come true in the next 50 years time. In fact, Martin Cooper the creator of cell phones, got the inspiration to create the device after seeing a scene from the movie where Captain Kirk uses a flip phone like wireless device to communicate. In the age of NLP and AI-powered by solutions, instant translation to the language that we prefer is never a challenge. In Star Trek too, when Captain Kirk is moving from one place in the galaxy to other, unknown and unheard language was never a problem as he had the universal translator, which could help him translate the language instantly. Apart from the conversational AI, the movie also depicts portable video devices similar to that of the present day tablets, where Dave Bowman, the protagonist watches BBC news in his internet-connected portable screen. In addition to this, the movie also shows a video phone through which Heywood Floyd, another character in the movie, makes a phone call to his Daughter. Blade Runner (1982): The movie is set in a dystopian future of 2019 where synthetic humans are bio-engineered by a powerful corporation to work in off-world colonies. Though the movie received a mixed response from the audience, it showcased some of the futuristic which has already become a reality in 2019. this includes video calling, though it is from phone booths. Back to the future(1985): If there is a fun and memorable science fiction movie that deals with time travel, then without a doubt it would be this movie. The 1985 movie oddly depicted technologies of varying kinds which would become a reality in the 21st century. From Marty’s auto-lacing sneakers in the movie to the 3D film obsession. A number of things including video-conferencing and wall-mounted widescreen television was mentioned in the movie. The Matrix (1999): Virtual Reality forms the underlying theme of the movie and it talks about a time frame when artificial intelligence has taken over the human race, resulting in a burnt-out planet as the result of the war between man and machine. Neo, the protagonist of the movie realises that he along with other humans are placed in an advanced make-to-belief VR stimulator. 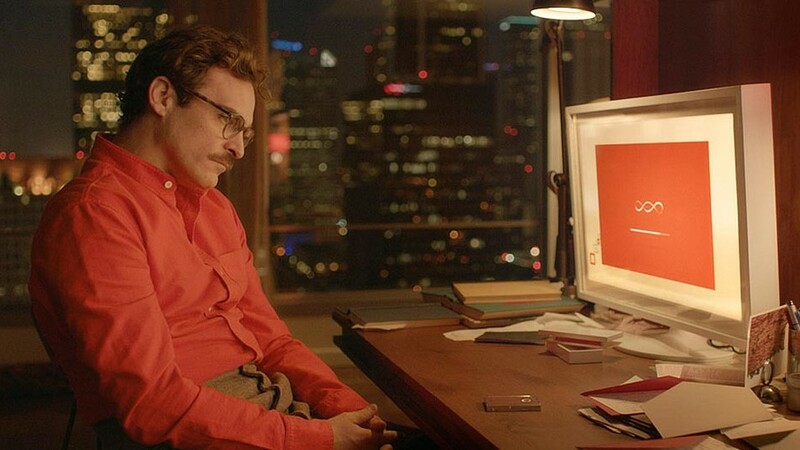 Her (2013): 2013 romantic science fiction drama is eerie similar to the lives that we lead now. The movie tells the story of a man who falls in love with a female voice assistant, whose closest cousin in the real world will be Alexa or Siri. Apart from the depiction of this strange man and machine relationship. The movie makes references to ear-bud phones, holographic video games and even digitally transcribed “Handwritten” letter-generating service.